Why Is Lent 40 Days? “And Jesus, full of the Holy Spirit, returned from the Jordan, and was led by the Spirit for forty days in the wilderness, tempted by the devil. ” (Gospel of Luke, Chapter 4, verses 1-2a). My math is off. I added a counter to the blog to begin the countdown to Easter Saturday when our Fast is over. But, the counter said, with today, we have 16 days remaining. I looked in my journal and figured today is Day 30 and we have 10 days left to Fast. So, I had to try to get it right. As I searched for why the answer, I learned why Lent has 40 days. The information is below if you are curious. What I found interesting and useful for my own Lenten journey is the spiritual renewal that resulted from Jesus spending 40 days in the wilderness. Jesus began his ministry after the testing. He was affirmed in his faith, in his future, and in his Father. He knew that his future was in doing the work of God, who sent him. He resisted the easy way offered by Satan. He was firm in his faith that God was with him and would strengthen him to complete the work he was sent to do: to seek and save the lost. I pray I will have that clarity at the end of my 40-day fast. I hope I can resist rushing ahead and doing what I think is best rather than waiting to hear how God wants me to proceed. I want to stand in faith that God will reveal my next steps. I spoke to my daughter about my trip to New Orleans next week. I plan to drive to New Orleans (where I will spend time with my sisters) then drive to Nashville and get some movers in Nashville to load items we have in storage for shipping. She thought about it and as she thought I became irritated and said, “You have things in storage, too. You need to help me make this happen.” In her thoughtful way she responded, “Mommy, the trip you are planning is too complicated. I don’t like to rush into something when I don’t have the plan well thought out. Once you have the details all worked out, you wont have to work so hard.” I looked at her and marveled. Of course, she is right. I am in this wilderness and there are no shortcuts, no rushing to make something happen, no anxious striving. In the wilderness, there is only the resisting the temptation to do it my way and the resting as I wait for God’s will; the trusting and the testing. The real question for me is not “Why does Lent have 40 days?” My question is “How do I live my purpose after this 40-day Fast?” Just as Jesus hit the ground running after his wilderness experience, all fired up with his mission. I want to be fired up and ready after my wilderness experience. I want to have a clarity and focus that will allow me to keep going even when I run into difficulties. I want renewed purpose and a focused plan. In 40 days?? Yes. Nothing is impossible with God. Why Is Lent 40 Days Long? 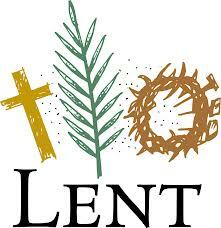 The 40 days of Lent, or Quadragesima as it is known in Latin, stems from two biblical stories. 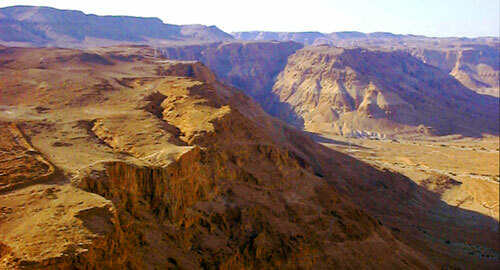 The first is the Old Testament story of the Israelites wandering in the desert for 40 years. The second is the New Testament story of Christ’s 40 days spent in the wilderness when he was tempted by Satan. While the period of Lent is 40 days, depending on the year there can be as many as 46 days between Ash Wednesday and Easter. The reason derives from practices during the early Christian church. Christ’s disciples, as Jews, used to observe the Sabbath on Saturday – the seventh day of the week. But since Christ rose from the dead on Sunday – the first day of the week – early Christians marked the resurrection as a new creation, thereby transferring the day of rest from Saturday to Sunday. Prayer for Day 30: Faithful God, bring us into the spirit of Lent, let us be assured of your presence in our wilderness experience, and release us to our purpose filled with your power and might. Amen. Posted on April 3, 2014, in Uncategorized. Bookmark the permalink. 2 Comments. Thanks so much for your encouraging comments. Let’s do the book together! !